Q. 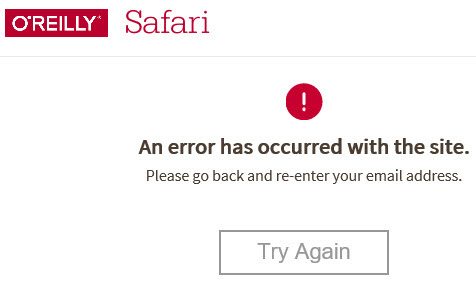 Why do I receive an error message when accessing eBooks in O'Reilly Safari? 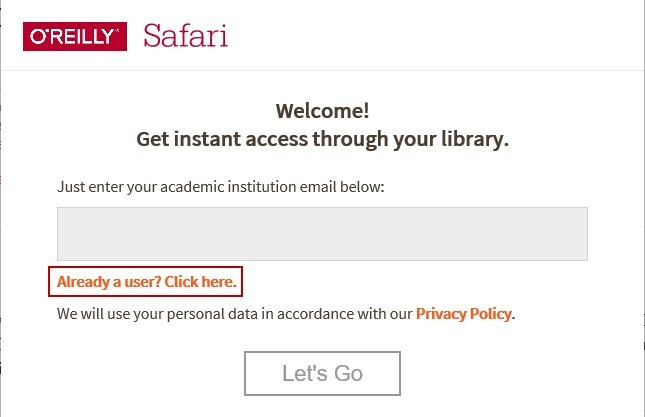 You receive an error message "An error has occurred with the site" because you have an O'Reilly Safari user account and you didn't log in with this account. You can click Try Again in the error message to reload the page and click Already a user? Click here to log in.